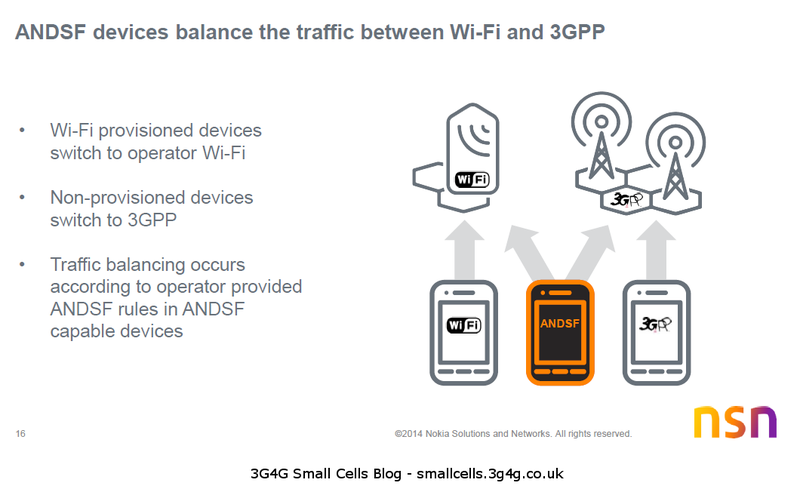 I have blogged about Access Network Discovery and Selection Function (ANDSF) in great detail on the 3G4G blog here. Earlier this week I was hearing from NSN about their Smart ANDSF solution which is the standard ANDSF with enhancements to handle unpredictable load conditions. Here is their presentation from the webinar. Metrocells and C-RAN has been a frequent area of discussion on this blog. A good post about Metrocells is available here and about C-RAN is available here and here. 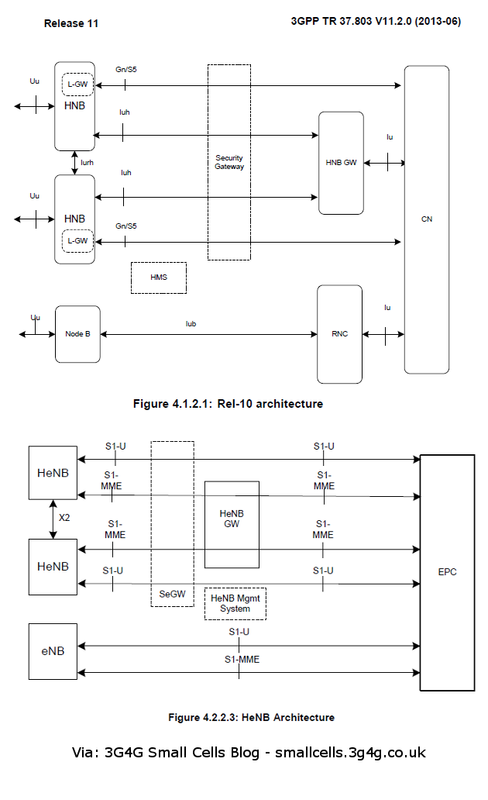 3GPP has an excellent Technical Report (TR) 37.803 that covers different mobility scenarios and enhancements for 3G HNB and 4G HeNB. Its an interesting read if you are involved in this activity. Embedded below for reference. Release Three: Urban Foundations has been developed to help operators with the rollout of small cells in the important public access arena. It builds on two earlier releases that focused on the established market for residential small cells (Release One) and the growing market for enterprise small cells (Release Two). Release Three addresses a step change in market evolution: the commercial deployment of small cells in the urban environment. 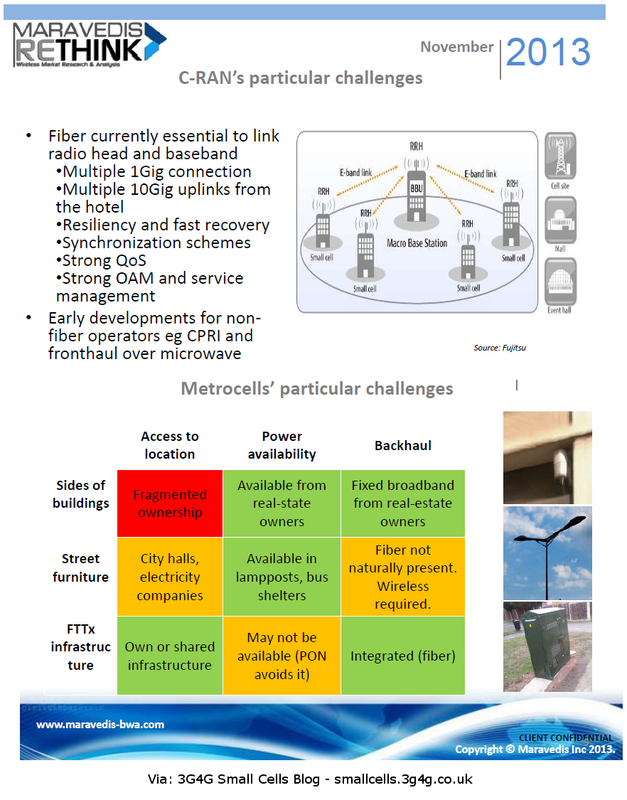 It establishes the business case and market drivers for urban small cells. It also identifies and starts to address many of the technical, economic and operational challenges to successful deployment and the opportunities this market could offer. As part of its Release Three output, the Forum commissioned an independent operator survey from consulting firm Maravedis-Rethink. The survey found that capacity, value-added services and the opportunity to integrate Wi-Fi were among the most commonly cited market drivers for urban small cells. Backhaul, optimal site acquisition, monetization and network management were identified as the primary concerns. Release Three addresses these varied issues realistically and coherently. Alongside the authoritative body of Small Cell Forum work it can already draw on, this Release includes 18 new and updated documents aimed at identifying demand and supporting operators in the deployment of urban small cells. These range from economic and commercial issues such as market drivers, business case and service opportunities to technical areas such as self-organizing networks, backhaul, Wi-Fi integration and network architecture as well as regulatory challenges and deployment processes. Tuesday saw the Small Cell Forum issue Release 3: Urban Foundation which contained a surprising number of documents (19). Gordon Mansfield, Chairman of SCF, told me it exceeded his expectations, especially since it followed so closely after December's Enterprise release. The same release co-ordination team have presided over another mammoth edition. The complete Urban document set will be published in June, now renumbered Release 4, and the roadmap for updates and further releases will be finalised in April. The Forum also has a new CEO, Sue Monihan, who brings expertise from running the GSMA North America organisation and I'm sure will continue to expand the remit, membership and influence of the organisation. She will continue to work part time for both organisations concurrently. Many (but not all) organisations now seem to be focussing on LTE+Wi-Fi rather than 3G/LTE/W-Fi multi-mode for urban capacity solutions - something that Vodafone specifically stated during the conference. Mike Schabel, VP Small Cells at Alcatel-Lucent, pointed out the radical shift from voice to data is still fairly recent and has had huge impact for operators. Their commercial activity in Small Cell trials and business opportunities has never been busier. Speaking at the conference, he said "I can't keep up" with the number of RFPs today. They are working with 65 operators around the world (without double counting). This is happening in all regions - it's all over the world. 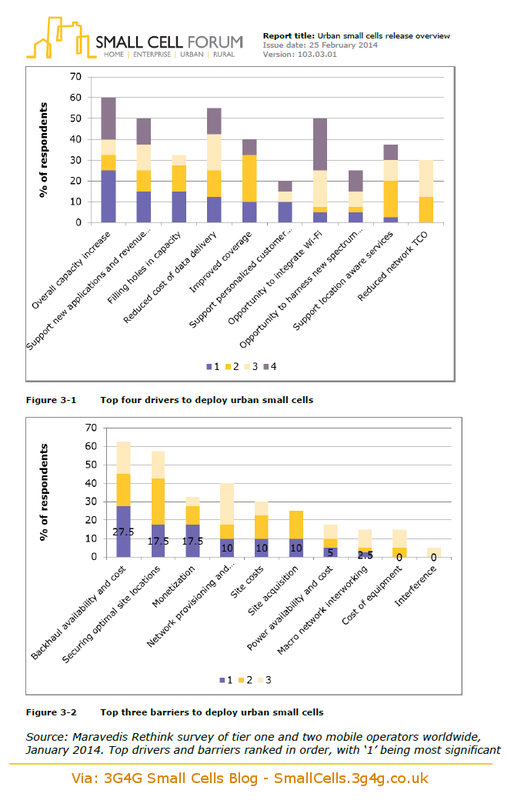 While the technologies are the same across the small cell sector, what varies are the different business drivers found across their different customers. Randy Cox, Head of Small Cells at NSN, showed me their latest LTE+Wi-Fi Urban Small Cell. This is quite a compact unit (about the size of a large dinner plate), capable of up to 400 concurrent sessions/calls. It's very much a downsized macrocell, reusing the same TI silicon chipset and optionally connected through a Flexi-Zone controller. They aren't planning a 3G/LTE multi-mode product at the moment, believing that LTE is the future. "We are in this for the long term" he told me. They continue to support their existing femtocell customers (using NSN's femtocell gateway and Cisco/Ubiquisys small cells), but it seemed to me that their Small Cell focus had shifted firmly to LTE. NEC bring their own LTE expertise from Japan, with a range of in-house products complemented by partner solutions, both for Small Cells and wireless backhaul. They'veselected Radisys as their LTE Small Cell software supplier for their next in-house products. They position themselves as a one-stop shop for the new last mile, offering to handle everything from the initial planning through operational management of a portfolio of equipment. They told me that where macrocell deployments might have had four or five standard templates or scenarios, they've seen more like 400 to 500 different use cases. I do hope that's an exaggeration! I saw several supporting technologies to de-risk HetNet deployments, ranging from smarter RF planning tools with more Small Cell features, SON vendors making further inroads, test validation and performance loading. There is a wider ecosystem here, finding newer and smarter ways to plan, manage and validate the network which wouldn't be cost effective at scale using traditional methods. Highlights included ERCOM's integration with Infovista/Mentum, allowing emulation of huge numbers of users in real-world scenarios, characterising the behaviour of small and macrocells that can be fed back into the planning tool. IXIA also have a comprehensive test and validation suite, de-risking the rollout of new features or vendor equipment by pushing the envelope and exploring the limits - not just conformance testing against standards. Sources of usage data now include directly from the handset, not just the network. OpenSignal published their "Global State of LTE Report" with actual performance results from 6 million users worldwide. Apparently Sweden has the fastest LTE in the world. The average speed worldwide is now just over 10Mbps. This whole area of back office planning and network management is evolving rapidly with many new technologies, tools and approaches coming on stream. Don't be distracted by the concepts of SDN and NFV - there are many more relevant and beneficial changes to how networks are managed coming along.